Act On File 2012 - The Compressor Module Compressor - Easily Compress Files and Folders, and Edit, Decompress, Test and Convert Archives. Work with multiple archives simultaneously. Compressor - Create, Edit, Maintain - Work and Do Everything With Archives. The Compressor module is an Archiver software used to compress files and folders and create, edit, test, convert, branch and perform other operations on archives. Compressing a file makes said file smaller without losing information (although in some cases losing information to an extent is acceptable. For example, compressing images or sound is usually associated with some loss of quality). Usually, when compressing files, the compressed files are placed in another file called an archive. A typical archive contains one or more compressed files, and possibly the directory structure to which the compressed files are assigned. When added to an archive, a compressed file is also assigned some additional attributes, such as an integrity check (typically CRC), comment and others. 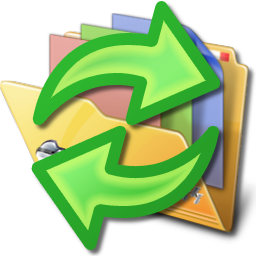 To compress a folder means to add an entry for the folder in the archive directory structure and compress all files in the folder, adding them to the archive as well as recursively compressing all contained folders. There are many different compression algorithms which are more or less suitable for different types of data. Some of the algorithms have better compression ratios than others, even for the same data, and some are faster than others. To illustrate how a compression algorithm might work, consider the following example: suppose that a 1MB = 1,048,576 bytes size file contains only zeroes, one can create a new "compressed" file with the following content  and size 9 bytes. In the first 8 bytes this file merely records the size of the original file and the ninth byte records 0, which is the data content of the original file. Thus, with this simple algorithm, we compressed the original file over 100,000 times. In reality, the compression algorithms are more complex than this and compress on average about 10 times depending on the type of data and the algorithm used. In some cases, data cannot be compressed at all and any compression results in a file that is larger than the original. In other scenarios, it can be compressed much more than the average 10 times ratio. Once a file is compressed, further compression is not substantially beneficial and in some cases may even become counterproductive. The process of restoring the original file is known as decompression. Sometimes archives are also called archived folders, which allows the user to treat the files and folders within an archive it as if the they were contained in a normal folder.